This is Don. 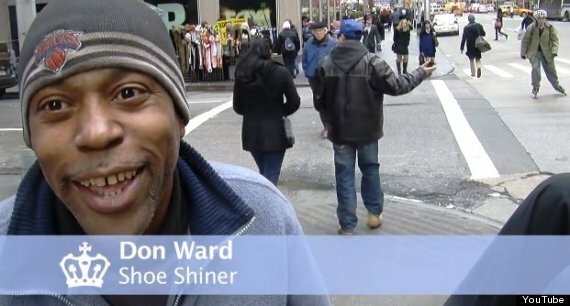 He shines shoes on the corner of the Avenue of the Americas and 47th Street in Manhattan. 1. Don’t be afraid to go after what you want. 2. You can learn a lot from a person’s shoes. 3. You can’t be good at EVERYTHING. Just accept that. 6. Learn from your past, and move on. 7. Strive to be the best person you can be, but stay true to who you are.